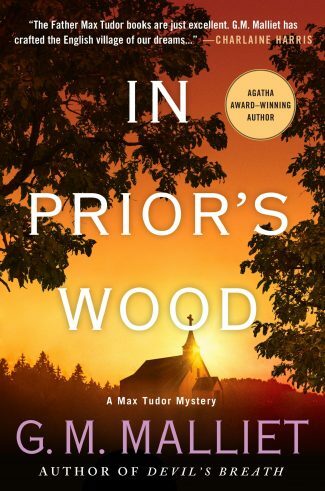 In Prior’s Wood by G. M. Malliet is the seventh book in the Max Tudor series. I’ve been reading G. M. Malliet’s Max Tudor series since the beginning, and I feel that with this seventh installment, she’s really hit her stride with the sly-but-not-unkind humor that leavens an otherwise dark and twisting tale of the inner depravity that leads to serial murder. Max Tudor, our hero, thought he’d left his MI5 days far behind when he became an Anglican priest and moved to Nether Monkslip to minister to the village and its neighbors in his parish. 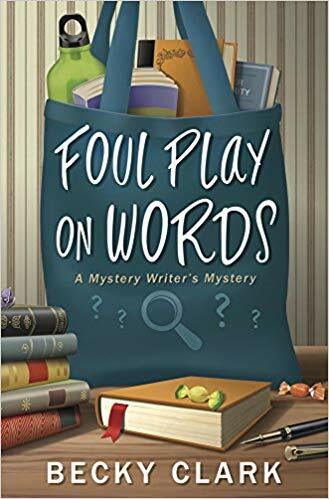 To his dismay, dead bodies seem to keep showing up mysteriously, warranting his involvement in their investigations—usually in partnership with DCI Cotton, the seemingly mild-mannered local detective whose personal life can be as surprisingly colorful as Max’s own. Max’s bishop piously believes that his posting was divine providence to help catch killers. Max, rather darkly, worries that something about him attracts murderous intent. 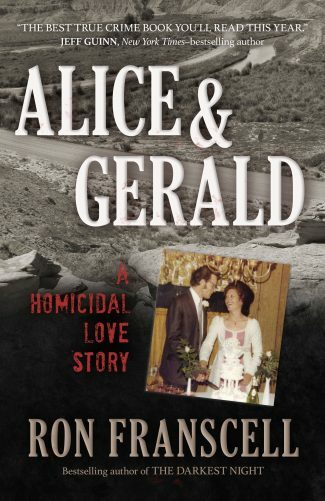 In this latest case, however, the deaths look less like murder than a suicide pact between star-crossed lovers. Lady Duxter is the depressive patrician whose family wealth funds the Monkslip-based publishing house and writer’s retreat for which her husband, Lord Duxter, earned his OBE. Colin Frost is the husband of Lord Duxter’s archivist and is newly returned home from his cybersecurity job in Saudi Arabia to attend his grandmother’s funeral. A poacher finds them parked in a secluded area in a vehicle rigged to poison them with carbon monoxide. Lady Duxter survives but is comatose. Colin is not so lucky. Something about the scene seems off to Cotton, who confides his concerns in Max. When Colin’s teenage daughter disappears and arson destroys a building at the Duxter’s estate, Max and Cotton must smoke out a desperate killer before even more lives are lost. 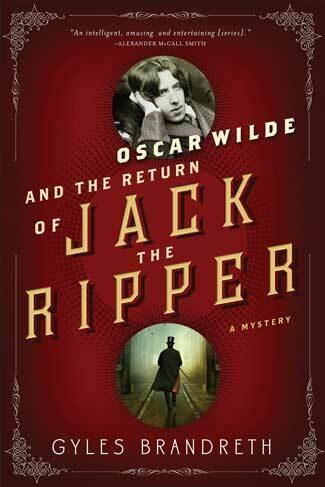 As always, half the fun of the Max Tudor series lies in Max’s pastoral work and beliefs. While I’ve never been the biggest fan of his wife, Awena (I strongly believe that her time on the page would be better devoted to my favorite character, the scheming and competent Suzanna Winship), I do very much enjoy Awena’s conversations with Max regarding their differing beliefs—especially when it comes to enlightening him as to the falsities spread regarding her faith’s celebration of Beltane. He wondered why the Romans would be jealous of a lot of hovel-dwelling peasants who probably stank of animal dung and ate gruel laced with gristle, but he thought it politic not to ask. He and Awena—Anglican vicar and Wiccan—got along so well by making every allowance for the other’s religion. He picked up a piece of paper outlining a proposed fiction series and tried to concentrate, adjusting his glasses higher on his nose. Some author wanted to write about a vicar who was formerly an agent for MI5. Well, that sounded boring as hell. He started wadding up the proposal to aim it at the trash bin beside his desk when he stopped midgesture. Wasn’t there a sort of rock-star vicar in nearby Nether Monkslip who was rumored to by MI5? In fact—yes, of course. He was married to Awena. How could he have forgotten? Well, he wasn’t sure he wanted to publish a book about a vicar. That sort of religious twaddle never sold well. Readers today wanted—what was it readers today wanted? Damned if he knew. Action, flashing lights, car chases, dismembered corpses. Quaint Canadian villages seemed to be popular, though. He wondered if he could persuade the author to switch locales and have the vicar be a former Mountie. 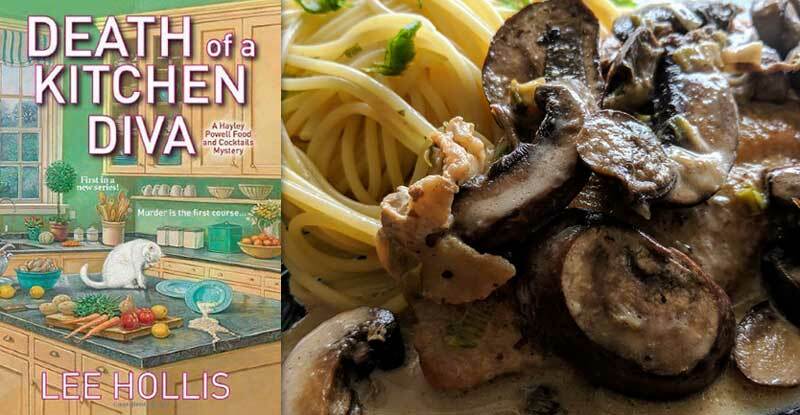 Ms. Malliet’s mastery of dry humor is another step in the Max Tudor series becoming what could be the quintessential modern British cozy series. So pitch perfect is her writing, it’s hard to believe sometimes that these books are written by an American author. The combination of devious plotting with religious reflection and self-deprecating wit is unique in today’s cozy field, and it’s one that deserves plenty of plaudits. I’m looking forward to reading more of the series, and I am only hoping the next book will have more Suzanna.